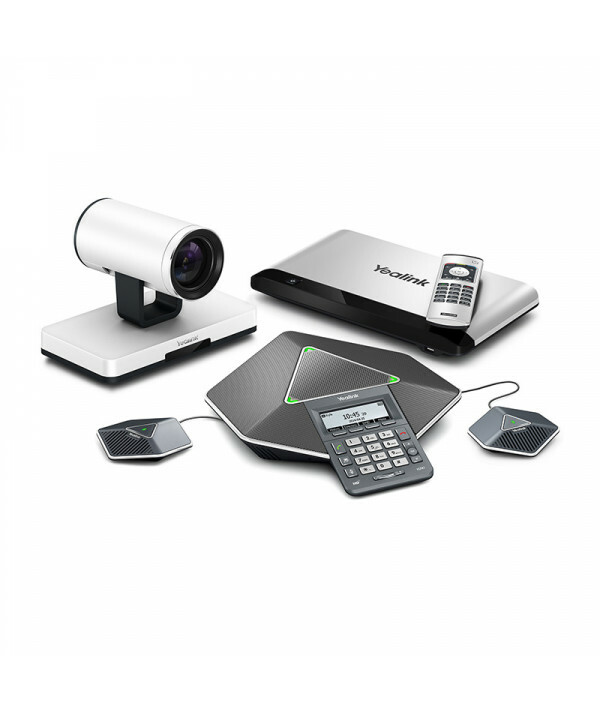 HD Video - The system offers 1080P30 people+content shared video conferencing. It also supports full-HD dual stream to demonstrate documents or videos, a development that significantly improves the user conferencing experience. Optimal HD - The Yealink VCS Phone has several built-in microphone arrays and supports 360 degree voice pickup. With an optional expansion microphone KIT, the voice pickup range can be extended to up to 5 metres. 14KHz CD level broadband audio quality, plus a number of new leading-edge professional voice processing technologies, guarantee users an excellent audio experience. Outstanding User Experience - Yealink VC120-12X makes maximum use of its advanced features to provide an outstanding user experience. Yealink supports intelligent searching when making calls. During a call, you can adjust the screen layout as you wish. In addition, using the dual-screen display you can show whatever you like on a second screen at full size. This system also supports video recording and screenshots to record conferences more efficiently. An outstanding user experience leads to lower learning costs and higher efficiency. High Interoperability - Yealink VC120-12X supports SIP and H.323 and is compatible with the industry’s major system and terminal vendors, introducing an important cost-effectiveness and flexibility that helps users to expand their businesses. Interconnection is also possible with other devices, such as video phones, tablet computers and smartphones. Users can access video conferencing at anytime and anywhere at their convenience.